Welcome to my book corner! I use an American company to display and sell my books, it works just like any other online company, like for example Amazon. The main difference is that the books in this company are all self-published, and therefore all made to order – which greatly affects the price. It is still cheaper than most self-publishing companies I have seen, and I have looked into quite a few over the years. I guess their reasonable prices could have something to do with the fact that they print more than 1 mill books per year! The book about Adrian's third year, 2011. 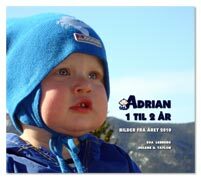 Adrian is the grandchild of a good friend of mine, Eva, and she has taken all the photos. Layout, design and photo editing by me. View the whole book, read more about it and find out how to order a copy for yourself. My blog in a book, all the posts from my blog collected together with the photos. 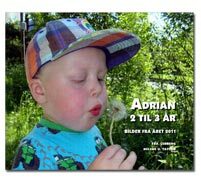 The book about Adrian's second year, 2010. Adrian is the grandchild of a good friend of mine, Eva, and she has taken all the photos. Layout, design and photo editing by me. 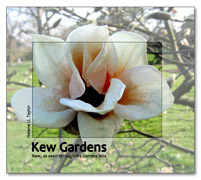 Kew, as seen through my camera lens. 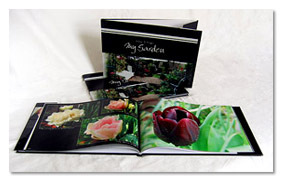 A book full of lovely pictures from Royal Botanic Gardens, Kew, London. Here are orchids, rhododendrons, camellias and lots more. 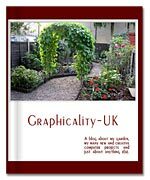 This is a book from my back garden, the entire collection of photos in this book is taken over the course of two years in my tiny London garden. It goes to show what you can do within a small space despite a shoe-string budget! First printed in 2008 and then, after a re-design, republished with the American company in 2010. 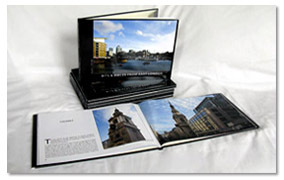 The book is filled with photos from East London, from the north side of the River Thames. It gives a peek into different areas and aspects of East London and explains a range of terms and expressions. The book also gives a lot of detailed information about different places in East London that has a special meaning to me one way or the other. Published in 2010. View the whole book, read more about it. This book is unfortunately not possible to order online.